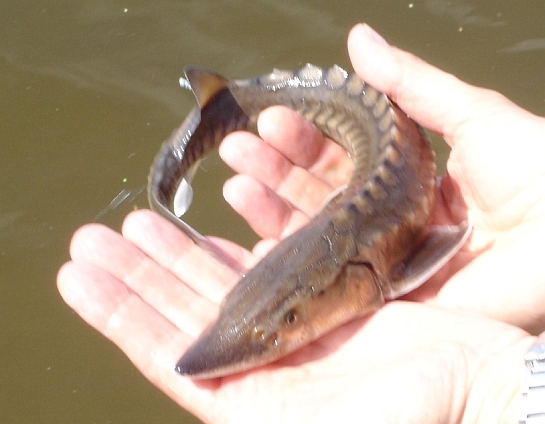 Sturgeons are one of the so-called “living fossils”. In the time when dinosaurs ruled Earth, Sturgeon ancestors were the most widespread sea fish. Their appearance hasn’t changed since that time. 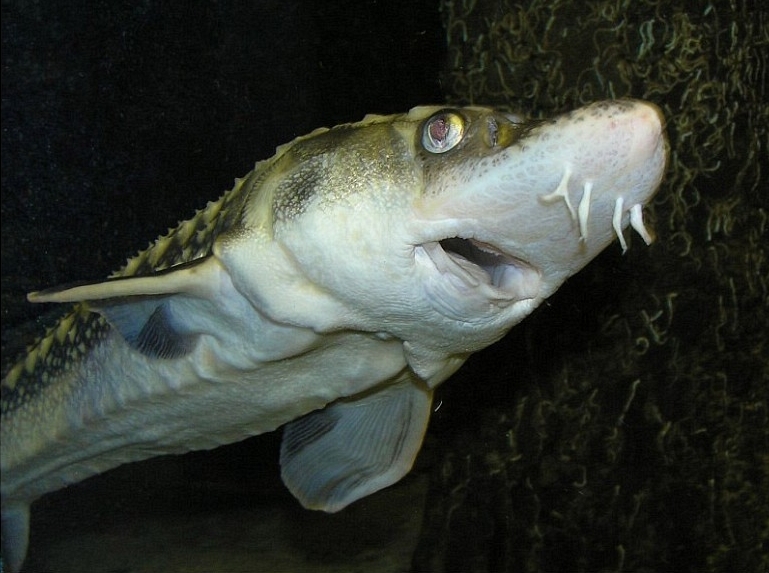 This fish is also called the Baltic or simply Common Sturgeon. Nowadays, they live in the coastal waters of Europe north of Africa up to northern Norway, and there are also some populations in the eastern coast of North America. Sturgeons reach and impressive size of an average of about 1.5 metres, while in some extreme cases their length can reach an incredible 4 meters. The Sea Sturgeon’s back is covered with three lines of bone plates, which is a defensive tool versus predators. The fish is equipped with two sensitive tentacles on the lower jaw, with which they find food near the bottom of the water basin. Sea Sturgeon’s homeland is the European coastal waters. Unfortunately, due to the excessive fishing, their numbers have decreased so severely that they have become quite rare. The last European territory where they are very common is the Black Sea between Turkey and the former Soviet Union territories. European Sea Sturgeons live near the bottom of the sea, spending most of the time in the coastal waters 20-50 metres deep. They are migratory birds that go to spawning grounds hundreds of kilometres away, venturing deep in rivers. Most of these fishes live alone, but it is more likely that this is because of their rarity, not because of habits. They are currently the largest and most threatened European fish. These fishes look for food near the bottom of the sea. As the Sturgeon’s eyes are located on top of the head, they can’t actually see beneath them, so food is found mostly by the four sensitive tentacles. Compared to its own large size, the Sturgeon catches rather small prey, feeding mostly on invertebrates such as crustaceans and worms. 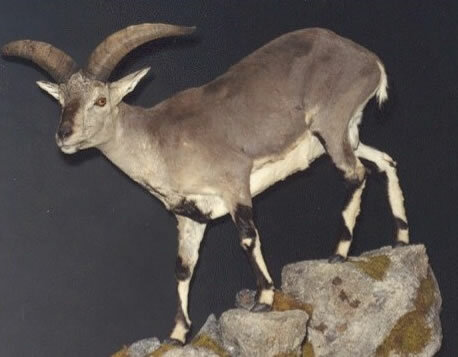 The larger specimen may also hunt small fishes. It should be noted that during the migration to spawning grounds, they don’t eat at all. Mature Sea Sturgeons enter river deltas in April and May and start their journey upstream. They can go as deep as 500 km inside the continent, and actually, there are reported cases when Sturgeons laid eggs in the river Rhine, 900 kilometers away from the sea. In June and July they lay eggs between rocks in the depth of 2-10 meters. Each female lays a colossal amount of eggs – about 2,5 million in one season. Three to seven days later, worms hatch from the eggs. They develop fairly slowly, spending at least three years in freshwater, at which point they have reached a size of about 1 m, after which they measure the dangerous journey to the sea. Unfortunately, European Sea Sturgeons have suffered tremendously from human actions. The overfishing has caused them to become one of the rarest fish species. It’s sad that once Sturgeon caviar was served for free with beer in bars, but now it’s one of the most expensive delicacies. Please people..many organisms r in the brink of extinction. Try to protect the species as best as u can!! !